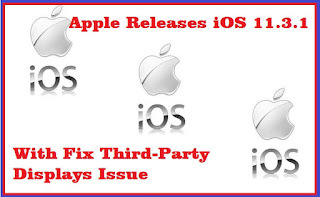 Apple has released iOS 11.3.1 for the iPhone, iPad, and iPod touch.The iOS 11.3.1 comes with improved security features for your iPhone or iPad and fix touch input on some iPhone 8 devices because they were serviced with non-genuine replacement displays. Note: Non-genuine replacement of displays may have compromised visual quality and may fail to work correctly. So the Apple phones must be repaired by trusted experts who use genuine Apple parts. 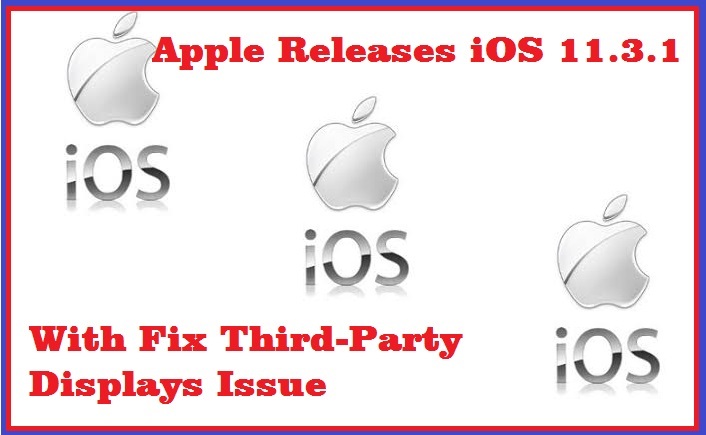 For more details you can visit support.apple.com [Official Apple Support].